Purchase Marty Christian CDs at the Louisiana Music Factory! 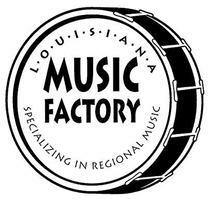 Click on the Cd Covers to purchase CDs directly from the Louisiana Music Factory! 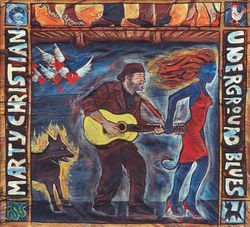 "... Christian’s been in Louisiana 11 years, seemingly soaking up touches of the sounds and correctly redirecting them into his own — not throwing a rubboard or accordion in and calling it swamp blues. Instead, he just shows a few shades of what he borrowed from these genres. “Last Train,” for example, is such a close cousin to a Leadbelly track that it’s worth googling to make sure. “Too Much” reflects his Louisiana tenure, adding a jazzy blues touch. Living Blues - Aug, 2012 Rue Boogaloo is a new project that combines a quartet of seasoned south Louisiana musicians: guitarist and vocalist Marty Christian, currently a member of legendary pianist Henry Gray's band; veteran bassist Lee Allen Zeno (profiled in LB #215); drummer Frank Kincel, co-producer with Zeno of their debut; and late bassist and harpist Andy Cornett, who also served as Henry Gray's manager. Together they serve up a delicious stew of blues, funk, and zydeco that, at album's end, leaves this listener hungry for more. 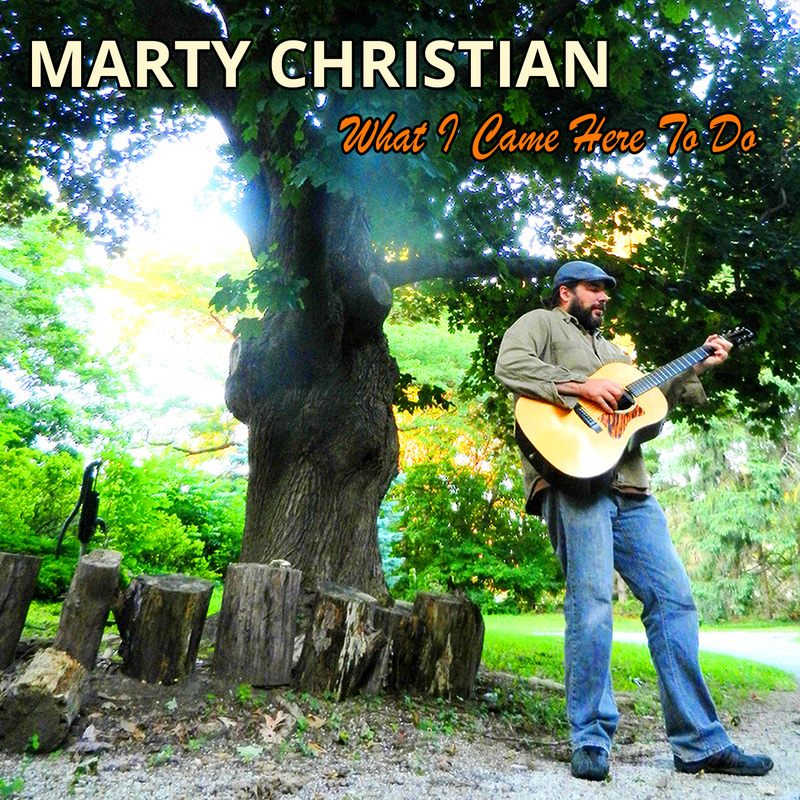 Christian's sweet, country-tinged voice glides over the easy shuffle of Know What to Do About You, while Cornett's harmonica style brings to mind Jimmy Reed's. The funky jams Everything's Picking Up and They Tell Me swing with a Meters-style appeal; Talk About It and the instrumental Rue Run are fun dancehall romps. Creeper, My Baby's Sweet Like That, and In the Course of a Night are also, each in their own way, made for dancing - of the slow kind; the latter track features Christian singing in both English and Cajun French. The lovely, gently rolling Special Friend brings the party to an all-too-soon close. Rue Boogaloo is not currently schedules to tour this year. 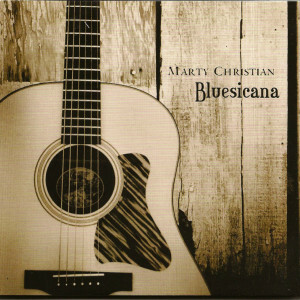 "We got something so good, Lord, that it hurts this much to lose, " Christian pleads in the wistful Had a Good Run. Here's hoping Rue Boogaloo's run is far from over. Rue Boogaloo Rue Boogaloo is a new project that combines a quartet of seasoned south Louisiana musicians: guitarist and vocalist Marty Christian, currently a member of legendary pianist Henry Gray's band; veteran bassist Lee Allen Zeno (profiled in LB #215); drummer Frank Kincel, co-producer with Zeno of their debut; and late bassist and harpist Andy Cornett, who also served as Henry Gray's manager. Together they serve up a delicious stew of blues, funk, and zydeco that, at album's end, leaves this listener hungry for more. 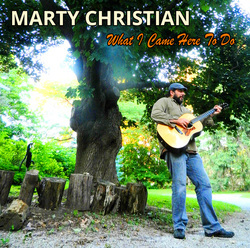 Christian's sweet, country-tinged voice glides over the easy shuffle of Know What to Do About You, while Cornett's harmonica style brings to mind Jimmy Reed's. The funky jams Everything's Picking Up and They Tell Me swing with a Meters-style appeal; Talk About It and the instrumental Rue Run are fun dancehall romps. Creeper, My Baby's Sweet Like That, and In the Course of a Night are also, each in their own way, made for dancing - of the slow kind; the latter track features Christian singing in both English and Cajun French. The lovely, gently rolling Special Friend brings the party to an all-too-soon close. 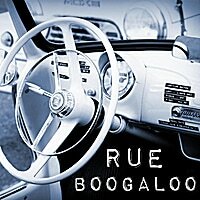 Rue Boogaloo is not currently scheduled to tour this year. "We got something so good, Lord, that it hurts this much to lose, " Christian pleads in the wistful Had a Good Run. Here's hoping Rue Boogaloo's run is far from over.